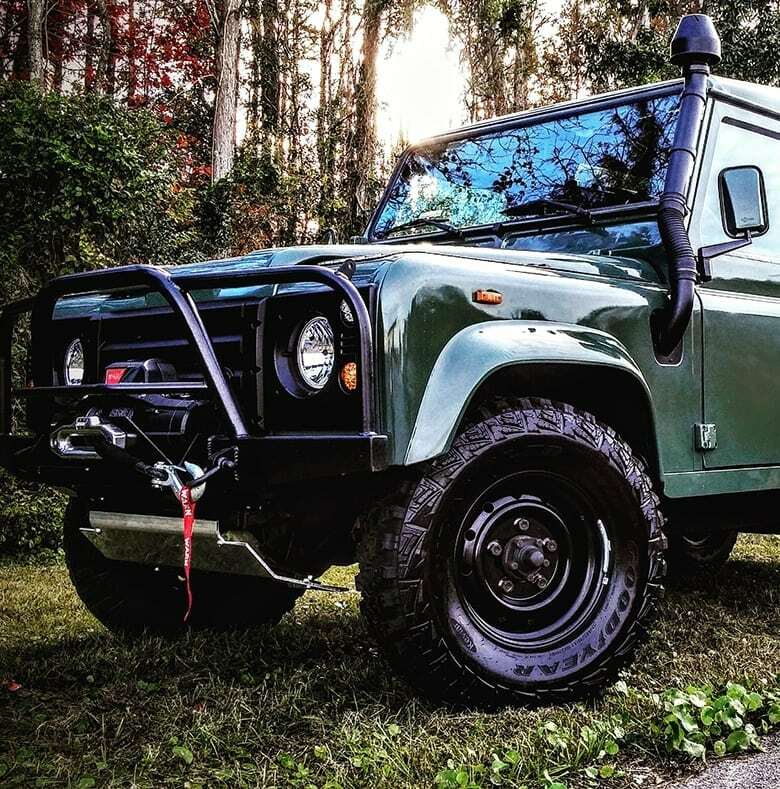 Safari Hp offers full Defender 90 / Defender 110 / Defender 130 restorations with unmatched quality in under 10 months with a full warranty and owner support as part of our dedicated Heritage Service Program. The price for these services varies in accordance with the owner’s desires and budget. 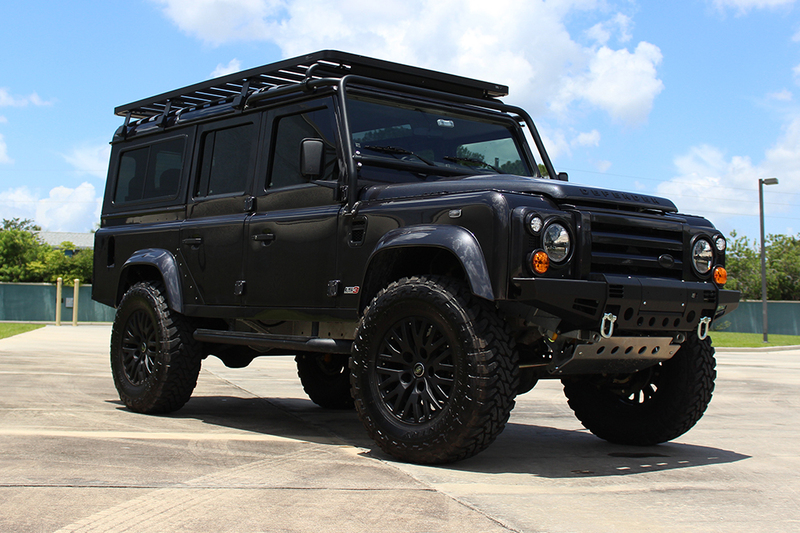 Safari Hp is dedicated to delivering your restored Land Rover Defender on time and on budget. We are the only Defender dedicated facility to stock chassis, brakes, doors and other often required restoration parts. We constantly evolve our methods and procedures to increase productivity which carries a direct relationship to customer satisfaction and price during a Defender restoration. All restorations include an extensive warranty and customer follow on support. Safari HP is conveniently located in sunny Central Florida - close to the Orlando International Airport. During your restoration, we encourage customer visits as part of the experience. Safari HP has partnered with the best interior trim experts. We supply Genuine and OEM leather seats, headliners, door trims and even complete modern dashes expertly trimmed in bespoke leather of nearly any color desired. Safari HP supplies and installs upgraded suspensions, wheels, tires and every other component under the body. From stainless steel exhaust to lowered road springs we are here to make your driving experience one of a kind. Safari HP can install Air Con, power windows, central locking and even heated windscreens typically in just a few days. 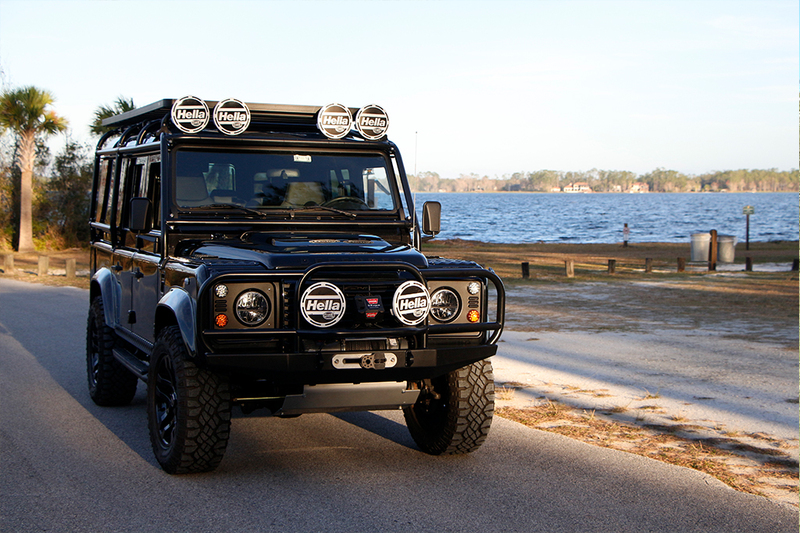 Contact us for a complete restoration, custom build or just a few upgrades to your Defender. your Full Restoration or Upgrade!